Britain's relationship with the Gulf region remains one of the few unexplored episodes in the study of British decolonization. The decision, announced in 1968, to leave the Gulf within three years represented an explicit recognition by Britain that its 'East of Suez' role was at an end. This book examines the decision-making process which underpinned this reversal and considers the interaction between British decision-making, and local responses and initiatives, in shaping the modern Gulf. 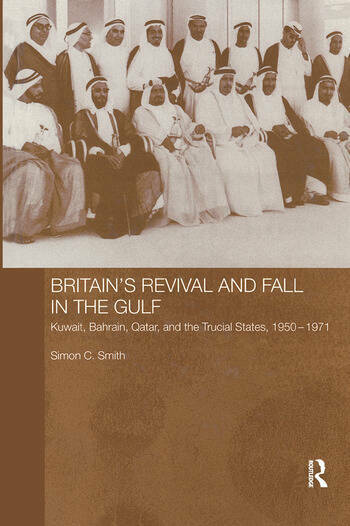 Using sources previously unavailable to scholars, Britain's Revival and Fall in the Gulf is a valuable addition to the studies on the modern Gulf. Simon Smith was brought up in Kent and studied at Royal Holloway, University of London. In 1994, he became a British Academy Postdoctoral Research Fellow and since his appointment to the History Department at Hull University in 1997, he has lectured in international history.